After being detained in Cuba for eight months, Tania Bruguera returns to the US, according to the #YoTambienExijo platform. 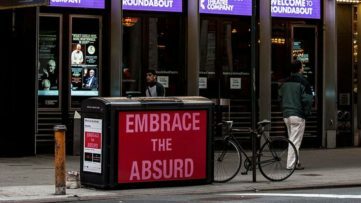 The platform announced that Tania Bruguera has safely landed at the JFK airport in New York City on Friday, after being detained in Havana for “fostering public disturbance”. The release was kept quiet by the artist in order to avoid any incidents and “contacts with Security of State” on her way to the airport. That is why she contacted the public, as well as her own family and friends after she safely entered the plane. 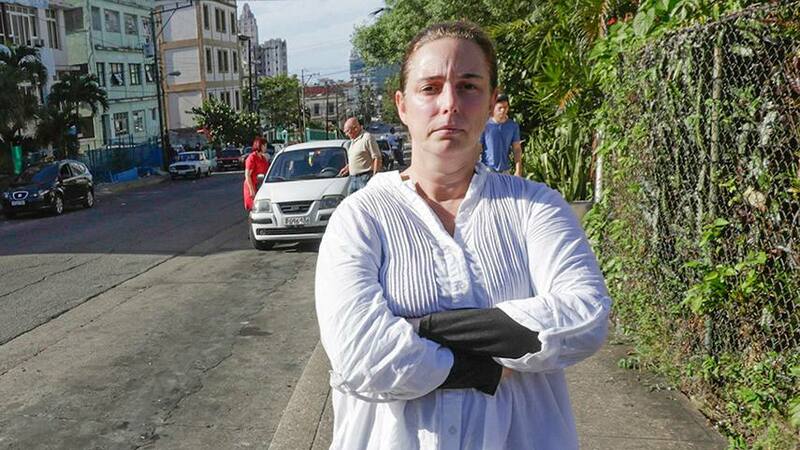 #YoTambienExijo also stated that despite her precautions, Bruguera was approached by a Cuban Intelligence agent at the Havana airport. He told her that she had been monitored by the government for months and that he will be “visiting New York in September” alluding that the surveillance will continue. Cuban artist Tania Bruguera was first arrested in December 2014, while trying to re-stage her Tatlin’s Whisper #6 performance. The performance dealt with the freedom of speech restrictions, firmly established in Cuba and included the members of the crowd. The audience was given a microphone, while observers were encouraged to express their thoughts for one minute in Havana’s Revolution Square. The Cuban authorities however insisted that her “performance aimed at inciting public disorder and resistance to the police.” The artist was arrested with around 60 people participating in the event. Her computer and mobile phone were confiscated and her Cuban passport was detained. The incident was followed by three other separate arrests, the latest of which occurred at the Havana Biennale while she was reading form Hannah Arendt’s book The Origins of Totalitarianism. 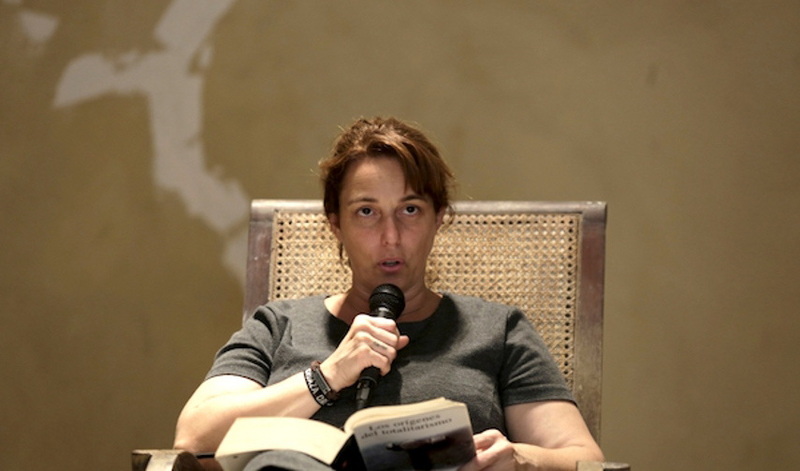 Tania Bruguera is a Cuban artist known as an activist committed to the freedom of speech. Her work pivots around issues of power and control, and several of her works interrogate and re-present events in Cuban history. 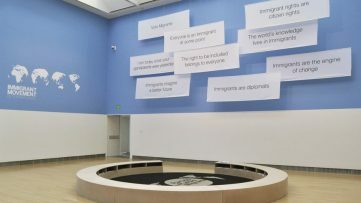 The works of Tania Bruguera have included the The Burden of Guilt, in which she posed naked with the carcass of a lamb around her neck, while eating soil mixed with water and salt; as well as the politically charged piece entitled Immigrant Movement International, a multi-part artwork reflecting the struggle of immigrants. Her arrests have caused outrage in the art community and initiated a petition and a public protest demanding her release. Unfortunately, Tania Bruguera isn’t the first artist to be arrested for speaking against a repressive government. Artist Ai Weiwei was in a similar situation recently due to his constant confrontation with the Chinese repressive politics. 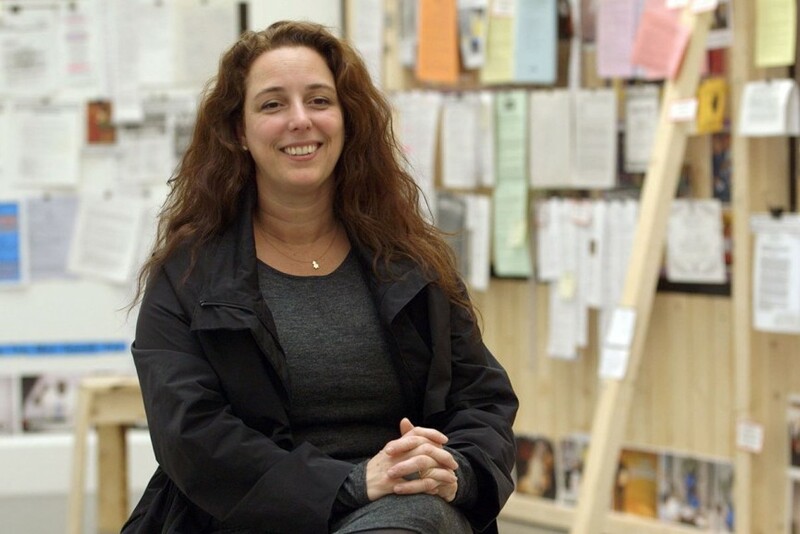 Tania Bruguera’s release was welcomed both by the art community and the US government. 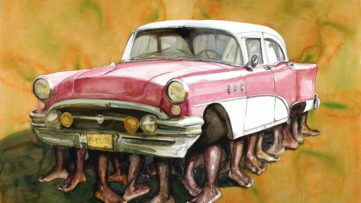 The Cuban artist is currently in New York in order to participate in the Yale World Fellowship and to begin her residency as the first artist at the New York City Mayor’s Office of Immigrant Affairs. She is currently exhibiting at the 56th Venice Biennale, showing her remarkable performance and video installation named Untitled (Havana, 2000) , in which the performance explores attitude of international disregard towards the reality of life under the Cuban communist regime. Use your freedom of speech and leave a comment on our Facebook page. We bring you the latest stories from the world of art for FREE, so sign up for My Widewalls! 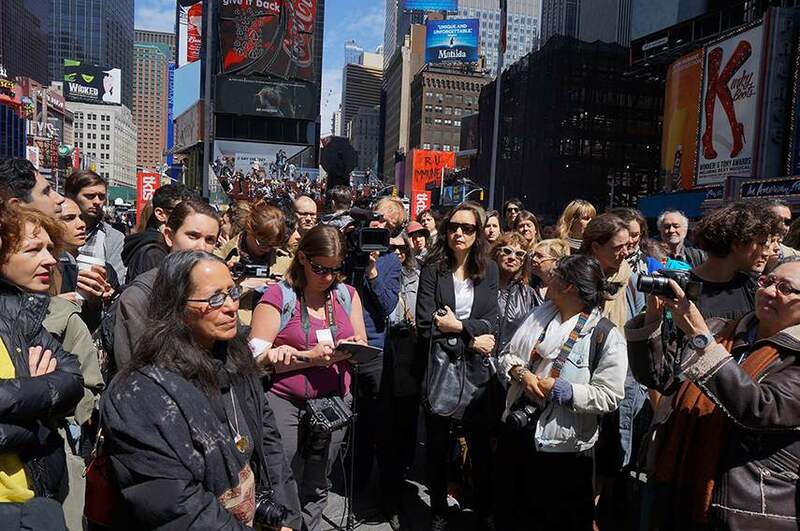 Word on the Street, Spring Edition – Female Artists Take Over Times Square, Yet Again!